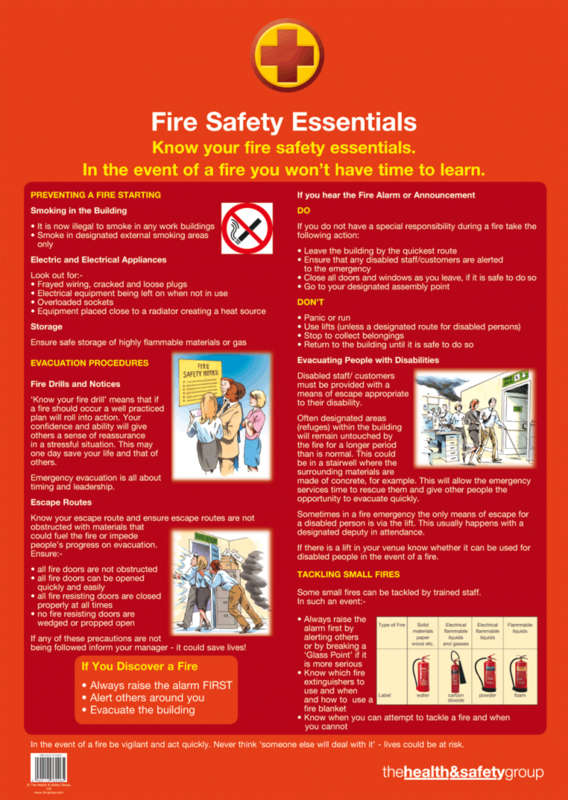 This full colour A2 Fire Safety Poster summarises - preventing a fire starting, evacuation procedures, do's and don'ts in a fire situation and how to tackle small fires. This fire safety poster could save lives in the event of a real fire situation. Every blank wall is a fire safety training opportunity! Buy your Fire Safety Poster here today.This could be the best £14.95 you ever spend!!! You can use 'Fire Safety DVDs' in conjunction with 'Fire Safety Booklets' and 'Fire Safety Posters' to complete your fire safety training regime and comply with fire safety laws! SEE PRODUCTS BELOW.